SR Legend Inn is a comfortable and warm stay for those looking to stay at pocket-friendly prices. With plush and sleek interiors, the hotel is a pleasure to stay at. The rooms at SR Legend Inn are comfortable and have home-like warmth. It is well-lit and accompanied with various facilities. The accent wall complements the overall decor of the room, making the space pleasant. Facilities available at the hotel include free wifi access, laundry and card payment option. The SR Legend Inn is in close proximity of various restaurants. The famous tourist spots such as Sree Surya Narayana Swamy Temple and St. Mary's Basilica are close by. 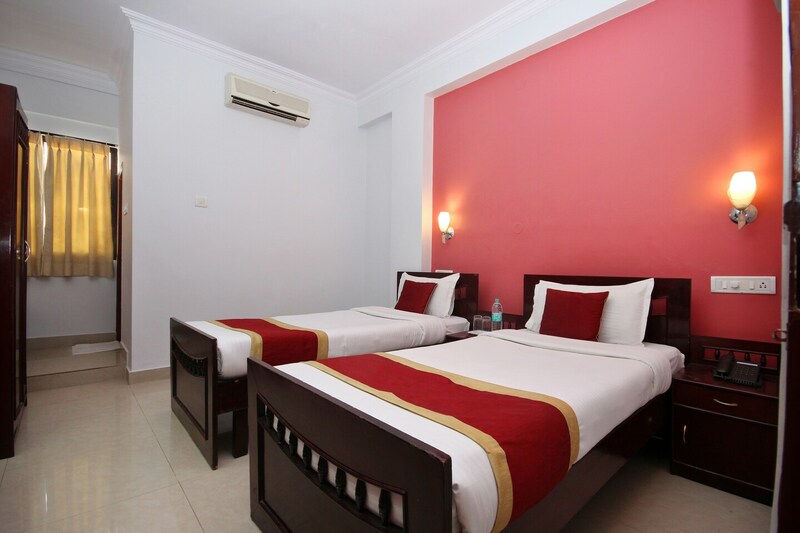 It is situated near the Bangalore International Airport and Bus stop, making it convenient for outstation travelers.